So tonight I decided to catch up with my DVR and watch the shows I missed this week starting with The Bachelorette. It became quite apparent as I was watching this first episode that I am going to have plenty of material to write about every week after being introduced to these jokers! So I jotted down some thoughts as I was watching so it’s a little all over the place but hopefully you can follow it. 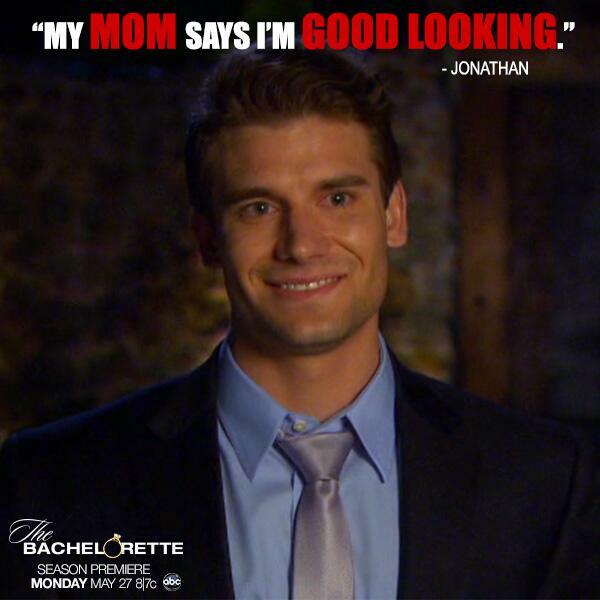 Obviously we can start a bachelorette drinking game on the fly. Looks like prince charming and blessed are going to be Des’ catch phrases… dang drunk already! Straight to the fantasy suite Jonathan? Bold bold move… and my favorite line of his: “… and I’m going to try to kiss Desiree on the mouth…” he just keeps putting his foot in his mouth and it is just awesome. “I think I’m a pretty good catch… my mom says I’m pretty good looking… my love tank has not been depleted in years… we’re looking at a pretty large love tank.” I really really hope he has had some liquid courage for all of that talkity talk. Andddd really Juan Paolo?? Did you really need to make Des feel like an idiot by mispronouncing your name four times?! Way to make an impression… an impression that you are a doucher, good thing you are gorge so we can look past it. Well played Ben with the bring-your-kid-to-the-party-card… a little early in the game but I can respect that move. And it looks like he might be a little bit of an instigator a little later in the game… I reallllllllyyyy like that! Drew, yum. That’s all that needs to be said. 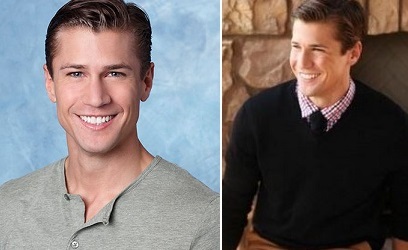 He is delish and sooooo adorbs and nice and I hope she doesn’t end up with him so I can move to Scottsdale and marry him. DIBS DES DIBS. I would also settle for Robert… who am I kidding? I call shotgun on him too Des. I can handle them both! Cheekbones for dayyyyzzz. Brandon – you are cute but you spoke approximately 32 words with the chick and you’re convinced she’s your future wife? Wah wah wahhhhhh… desperate much? Zak, Zak, Zak… you say you need to let Des know that you are 100% serious about this yet you forgot your shirt… hmmmm, ya don’t say. Guy who had those spastic dance moves… I just don’t know why you thought that would get you a rose. Keep those for in front of the mirror mister. Just realized during the rose ceremony that the bad dancer was Brad. He’s super hot so he can dance like an idiot around me anytime. HashtagYOUSOUNDLIKEANIDIOT Kasey. Why oh whhhyyyy did she give him a rose? He’s going to drive me insane. I just don’t get it she had so much to choose from… like the Magician/Suit Guy from Chi town – he could totally pull a Now You See It kind of trick and give her all of the money in the world! What was she thinking!? All this Larry guy can talk about is that damn dip!! She didn’t dump you because of the dip, she dumped you because your name is Larry and you are most definitely going to be a serial killer sometime in the near future. So that’s it for my Bachelorette wrap up this week! Hope you enjoyed… look forward to next week, I am because this year the Bachelorette actually did the right thing and only kept the hotties… thank goodness! Priorities!